Workers’ compensation is a very tricky area of law. 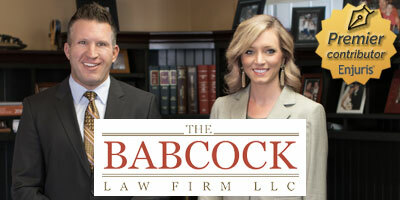 Many attorneys refer those cases to specialists because of their complicated, convoluted nature. To succeed in this type of case, you need someone who knows the law inside and out. This type of program exists to protect employees while on the job and help them in the event of injury. If you are seriously hurt at work, the future must be considered — especially whether you can perform the same functions upon recovery. You and your family need to be financially protected, which is why you should never take chances with your case. How do you know if you will succeed with a workers’ compensation case? What factors play into an adjuster deciding benefits? Insurance adjusters, no matter their industry, pay more attention if the insured is represented by an attorney. As a layperson, you likely have not studied the specifics of workers’ compensation law. The adjuster knows this, and saving the insurance company money is one of that person’s biggest priorities. Make sure you are not assisting them. Colorado law states that if a worker contributed to his or her own injury, benefits can be reduced up to 50% (though that can only happen in a limited set of circumstances; in fact, even if a worker has contributed to his or her own injury, they are often still entitled to full benefits). Is that something you would know when talking to an adjuster? Would anyone beside an adjuster and a workers’ compensation attorney know this? Having representation means you do not have to study Colorado workers’ compensation law, nor will you have to deal with the insurance company alone. It is no longer your responsibility to know whether benefits might be reduced because of X, Y or Z. This allows you to focus on healing and adjusting to your new life. Peace of mind can help you not expend unnecessary energy or experience stress that could compromise your healing process. Workers’ compensation law is difficult, filled with details often overlooked by less familiar attorneys. This type of law is normally learned on the job, since most law schools do not teach the subject. It is not an area in which one “dabbles,” like a general practice that happens to also provide this service. Ask your lawyer if he has lectured or written any treatises on the subject. Get an idea of how much workers’ compensation experience he has before signing any fee agreement. Does he mostly devote his practice to it, or is it treated as an afterthought? A more experienced attorney who has spent years in this field is someone you want on your side. He or she will know recent changes in the law and stay abreast of current developments. If you have an on-the-job injury, make your best attempt to use your employer’s list of approved medical providers. While other types of cases allow for a victim to choose his or her own doctors, and even if you have a doctor with whom you are already comfortable, a workers’ compensation case controls more of that process. Enjuris tip: Your employer has a list of designated medical professionals in the event of work injuries. Choosing other medical providers could result in you paying for your own treatment. Please note that even in a workers’ comp case, you can still choose your own medical providers. However, benefits might not cover your chosen providers; this would mean paying for your own treatment, which can become quite costly. It is your employer’s responsibility to provide this list of designated medical professionals to you within seven days of your accident. Make sure to pursue this, as your claim might be denied outright if you visit non-designated doctors for treatment. Many claims are denied because the initial submission did not provide enough information. By providing all necessary details up front, including specific accounts of your injuries, you lessen the risk of having to appeal a denial. Doing a fair amount of frontloading in a workers’ compensation claim can save trouble later in the process. Collect everything relevant, even if you believe it might only be tangential to your claim. 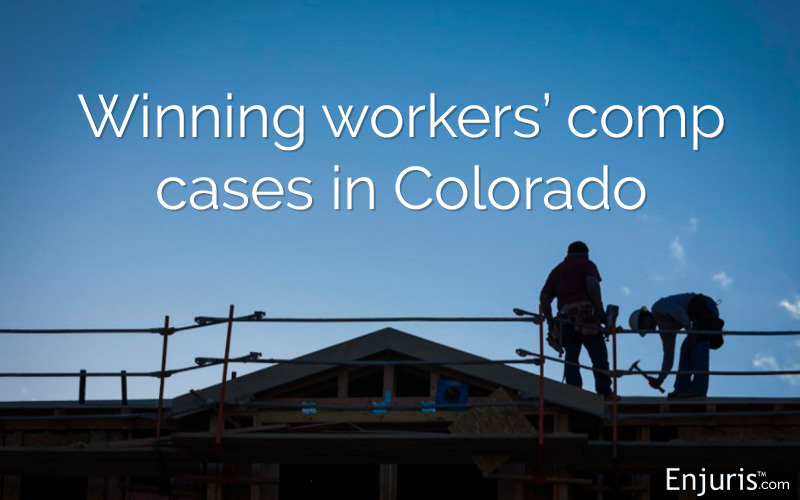 If you want to receive all the benefits to which you are entitled, you must find someone who knows Colorado’s laws and how they affect workers living there. Use the Enjuris directory of law firms to find the best workers compensation attorney for your case.